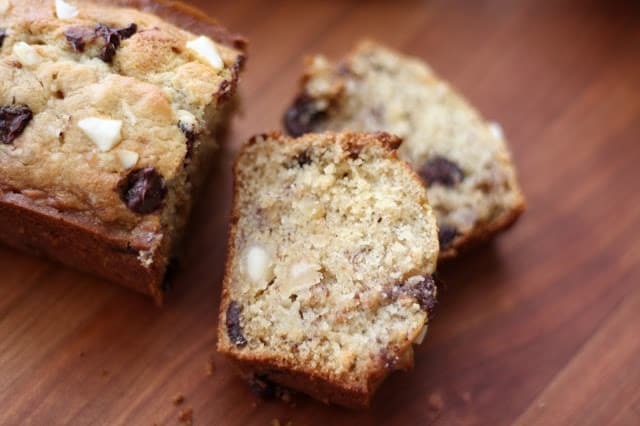 This banana bread is light and fluffy and full of chocolate chips and macadamia nuts. My family went a little bit crazy over these muffins the morning that I made them. We ate them for breakfast and again for dessert that same night. I moved quickly at that point and stored the remaining few muffins in the freezer, so that we could enjoy them another day! 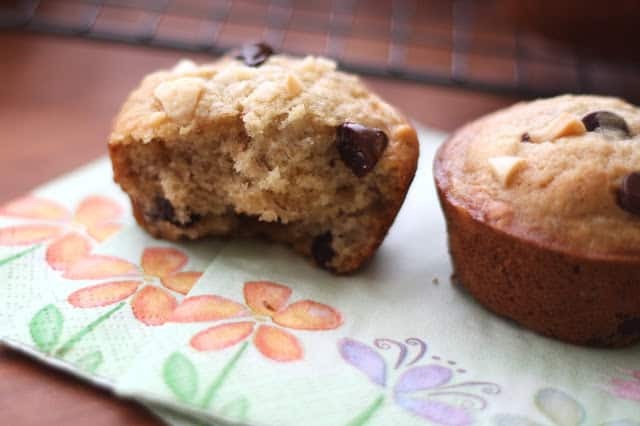 I’ve been working on a handful of GF muffin recipes off and on over the last few months. For whatever reasons, gluten free muffins that don’t taste gluten free turned out to be much more difficult than I anticipated. 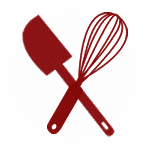 I am thrilled to finally have a reliable base for so many great recipes. For as long as I can remember, I’ve been the chief baker for my family’s get-togethers. In the past, I would bake dozens of muffins each year and pack them for our family’s annual camping trip. 30+ people can eat a LOT of baked goods over a four day weekend! I’m so happy to be taking gluten free versions this year that are every bit as tasty as their gluten filled counterparts. Preheat the oven to 350 degrees. Grease the muffins tins or loaf pans with butter. Combine the butter and sugars in a bowl and beat until smooth. Add the vanilla and eggs and beat again on low speed until creamy. Slowly add the dry ingredients, beating just until combined. Stir in the bananas and sour cream, then the chocolate chips and nuts. Pour into the prepared pans and top with reserved nuts and chocolate chips. Bake the muffins for 18-20 minutes, mini loaves for approximately 30 minutes, until a toothpick comes out with moist crumbs. Enjoy! These look great - must get myself some mini loaf tins they look so cute. Would you be my go-to baker too? :) I don't even know what to say about this bread other than.. OMG.. I want the whole loaf!! YUM!! Great recipe, Mary. I need this for breakfast!! I will have to share this with my GF friend. She'll be so happy! She just found out she has celiac disease in January...she needs as many recipes as I can find! Thank you for sharing Mary. These look lovely! Oh I want some of these now! They look amazing!! Wow, 30 people over a 4 day weekend is quite a feat to bake for! These look quite tasty, I'm sure they'll be a hit. Just made these. Yum yum. Made them as muffins (12) and 1 mini loaf. I don't know what I'll do with all of my cook books, because I could basically make every one of the recipes on your site and that would keep me busy from here on in. 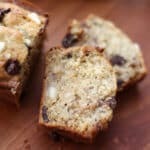 Was looking for gluten free delicious recipes (not always easy) and you haven't missed the mark yet on those. Thanks so much.